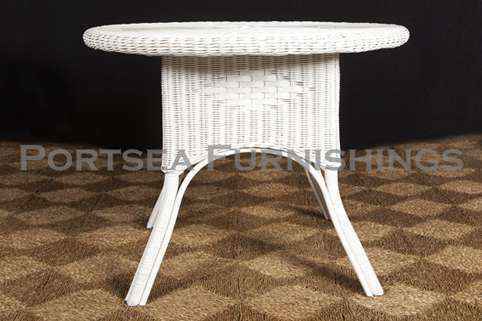 Cane dining table, available it 2 sizes and four colours. 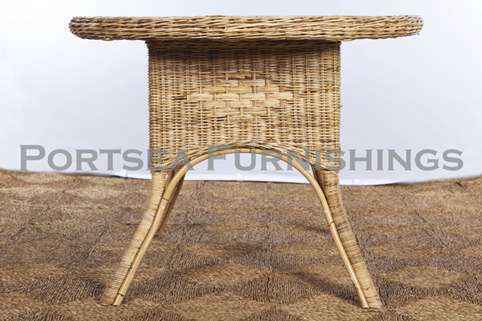 This dining table is made from wicker, a round table top on a square base. Simple and strong, you can use this table with or without glass. 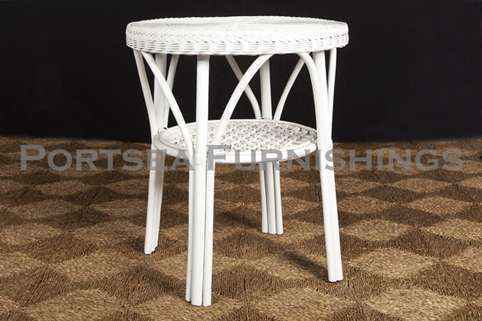 Available in white, natural, chocolate and antique grey, in two sizes. The smaller 100cm round dining table is perfect for the smaller area and can comfortably sit 4 people, the 120cm round dining table will happily fit 5-6 people. 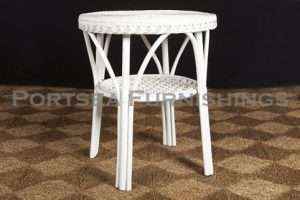 A great piece of furniture for your dining room or outside on a veranda or in the gazebo.